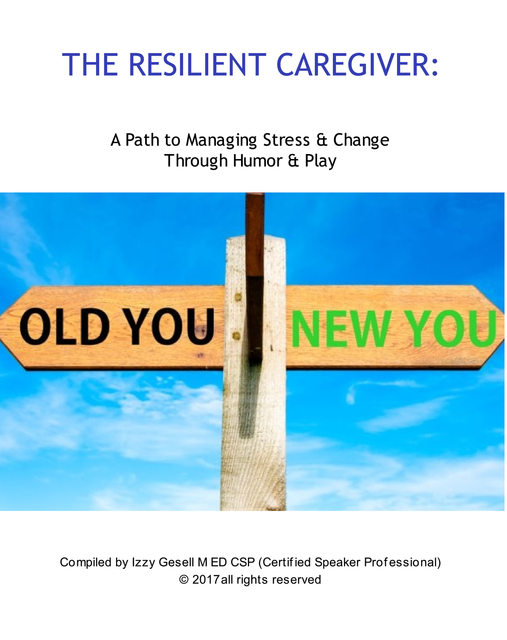 Izzy Gesell MS.Ed, CSP (Certified Speaking Professional) is an “organizational alchemist” who offers imaginative, intuitive and immediately useful insights and programs. He delivers meaningful material in an enjoyable way. Among the first to use Improv Theater concepts as tools for personal and organizational learning, he is the author of Playing Along: Group Learning Activities Borrowed From Improvisation Theater, co-author of Cancer and the Healing Power of Play and contributed a chapter on improvisation as a facilitation tool to the IAF Group Facilitators Handbook. His free app, “Improv4you” is available for Android and Apple devices. His video training course for LinkedIN Learning “Leading with Applied Improv,” was their first on the topic and their first shot as a live-action workshop. Other LinkedIn course are "Humor in the Workplace" & "Building your Team."